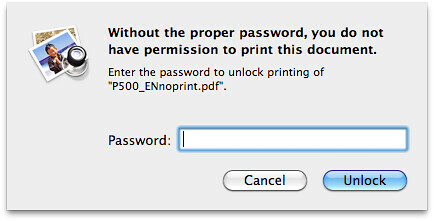 This 16.1 MB PDF instruction document (Nikon calls it the “Nikon P500 Digital Camera User’s Manual”) for the Nikon P500 should prove to be a fantastic read, all 252 pages of it, so be sure to download it. 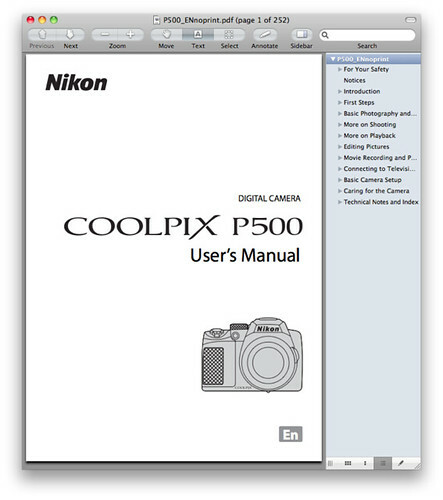 Both English Language (printable and non-printable) and Spanish (non-printable) versions of the Nikon P500 Guide to Digital Photography / Camera Owner’s Manual can be downloaded at NikonUSA.com. The guide discusses the features of the P500 and how to use the camera. Page 171: You’ll need a cable with a HDMI Mini connector on the end that connects to the P500 in order to view high-quality movies from the camera on HDTV sets. Page 227: Instructions for using the AC Adapter EH-62A.